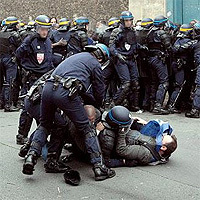 Plans to end the tradition of drinking alcohol with meals have greatly upset the French riot police. Under the terms of a new interior ministry decree, riot police will no longer be allowed to be able to drink down a glass or two of beer or wine with their lunch. The change started when photos emerged of riot police drinking beer while policing a student demonstration in late 2010. According to French law alcohol is banned while employees are at work - with the exception of "wine, beer, apple cider and pear cider". That has traditionally been taken to mean that a moderate amount of beer or wine is an entirely acceptable way to punctuate a French working day. Reports suggest the relaxed attitude to alcohol even meant that cans of beer were included in packed lunches issued to riot police while out on the streets. One police union has called for alcohol to be allowed if meals are taken out of the view of the public, but stronger views have also been aired. Didier Mangione, who heads one French police union, wrote to the interior ministry defending the rights of riot police to drink on duty. 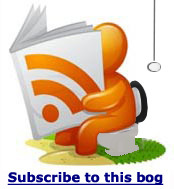 "Like most other workers in France, officers serving in the Compagnies Republicaines de Securite (CRS) should be entitled to a small quarter litre of red to accompany meals on the ground", Mr Mangione wrote. Paul Le Guennec, of Unite Police SGP-FO, a riot police union said, "Does the fact that having a glass of wine while eating prevent any kind of worker from carrying out their job? I don't think the chief of police drinks water when he's having a meal,"